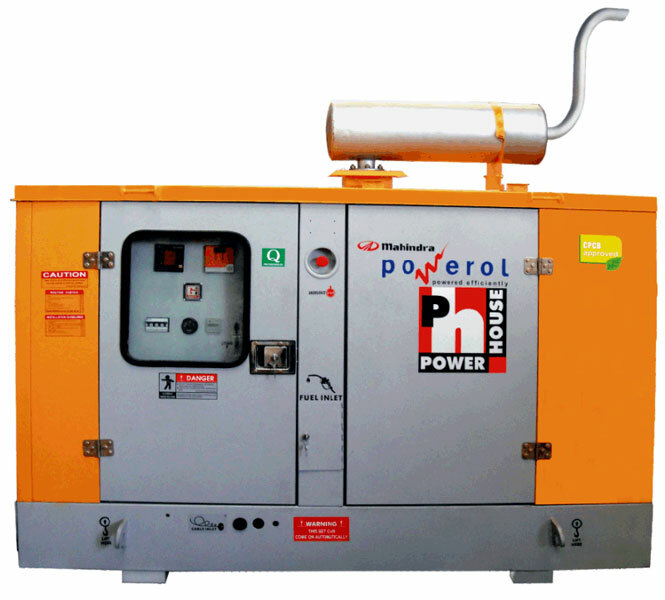 We are an established Distributor and Supplier of Mahindra Diesel Generator from Gujarat. Mahindra Diesel Generators are known for providing reliable power backup for complete peace of mind. The Mahindra Diesel Generator, which is the most fuel efficient in its class, is offered by us at the most competitive prices. The Mahindra Diesel Generator offered by us is known for its no-noise operation and advanced features. Generates Peace of Mind : Its recovery time, easily the best in its category, guarantees a seamless switchover to the back-up power. Moreover, its effective governing system controls the voltage fluctuations, thus ensuing complete safety of your equipment. Performance Unmatched : The product has got one of the most preferred engines fitted inside - the Mahindra Powerol engine. Compact and low on vibration, this engine has the smallest footprint as compared to other engines of identical ratings. Making the DG set apt even for roof-mountings. Silence Certified : Each and every Powerol DG set complies with the most stringent noise and emission norms stipulated by the Central Pollution Control Board of India (CPCB). No Compromise Technology : The product is transported through the Mahindra Transport Solutions Group. It is installed and commissioned through a Mahindra authorized dealer. The product comes with an annual maintenance contract. It can also be installed at places like petrol pumps, hospitals, super markets, banks and construction sites.